Home › Promotions › Test Ride & Win! 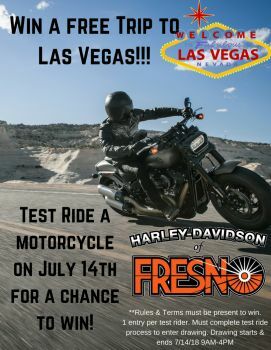 Test Ride & Win Saturday July 14th from 9AM-4PM to be entered in a drawing to win a trip to Las Vegas!! Official rules are simple. 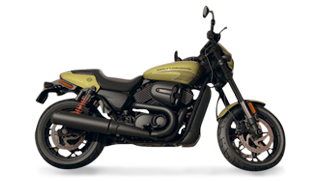 Come into Harley-Davidson of Fresno from 9AM-4PM, test ride a motorcycle, complete the test ride process, enter for the drawing and see if you win!